Although the methods of meditation are simple and straightforward, it is best to practice them under the guidance of a teacher. Without a teacher, a meditator will not be able to correct beginner’s mistakes, which if uncorrected, could lead to problems or lack of useful results. 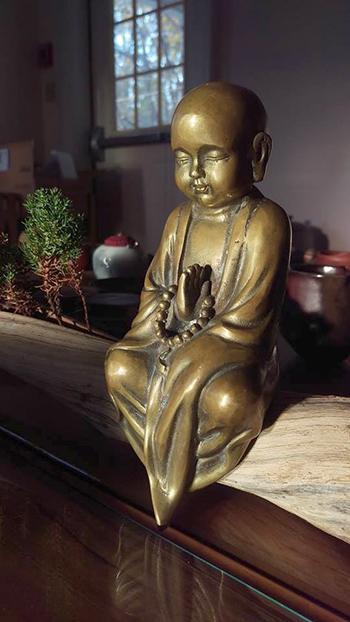 In our weekend meditation class, you will learn the fundamentals of sitting meditation, including proper bodily posture (sitting on a cushion or a chair), relaxation, and basic methods of concentration. In addition, you’ll learn about the proper environment, equipment, and timing, as well as self-massage and important concepts related to the process of meditation. Guo Yuan Fashi is a Buddhist monk trained in Chan Buddhism. In 1985 he first encountered Master Sheng Yen’s teachings while attending a seven-day retreat in New York. He then decided to become a disciple before finally leaving his job in Toronto, Canada, to become a monk in the Chan tradition. He was ordained in 1987 in Taiwan. For over twenty years, he accompanied and became translator to Master Sheng Yen in various Chan meditation retreats in the United States, the United Kingdom, Germany, Switzerland, Russia, and Mexico.